Property 13: Six Bedroom Lakefront Log Home With A Dock Slip On Deep Creek Lake. 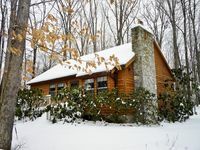 Property 14: Lake Access Log Cabin perfect for Gatherings. Community Beach. Tot Lot. 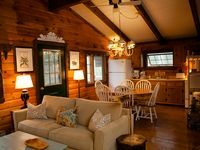 Property 44: Adorable Affordable Cottage, Lakefront & Dog Friendly!